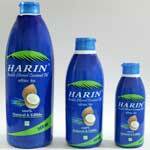 Harin Bio-Tech International Private Limited is engaged in the manufacturing and exporting of Coconut Products like Coconut Flakes, Virgin Coconut Oil and Double Filtered Coconut Oil, under the HARIN brand. We are the Network Partner in India of Kokonut Pacific Pty Ltd., Australia, who invented the Direct Micro Expelling (DME) technology and patented the process for making Virgin Coconut Oil (VCO) from fresh coconuts. We are the only manufacturer of DME Virgin Coconut Oil in Tamil Nadu, India - prepared from fresh coconuts cultivated in the Dharmapuri District of the State. 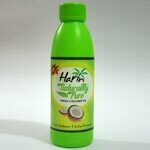 Today, we have carved a niche as one of the major Virgin Coconut Oil Manufacturers and Exporters based in India. 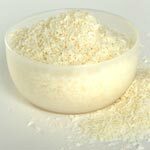 Hygienically processed, our coconut products are in huge demand for taste and purity. On the grounds of product quality, we have earned accolades from trusted clientele based in India, GCC, Africa, USA and Europe. Last but not the least, we strive to develop and maintain a long lasting relationship with our customers.